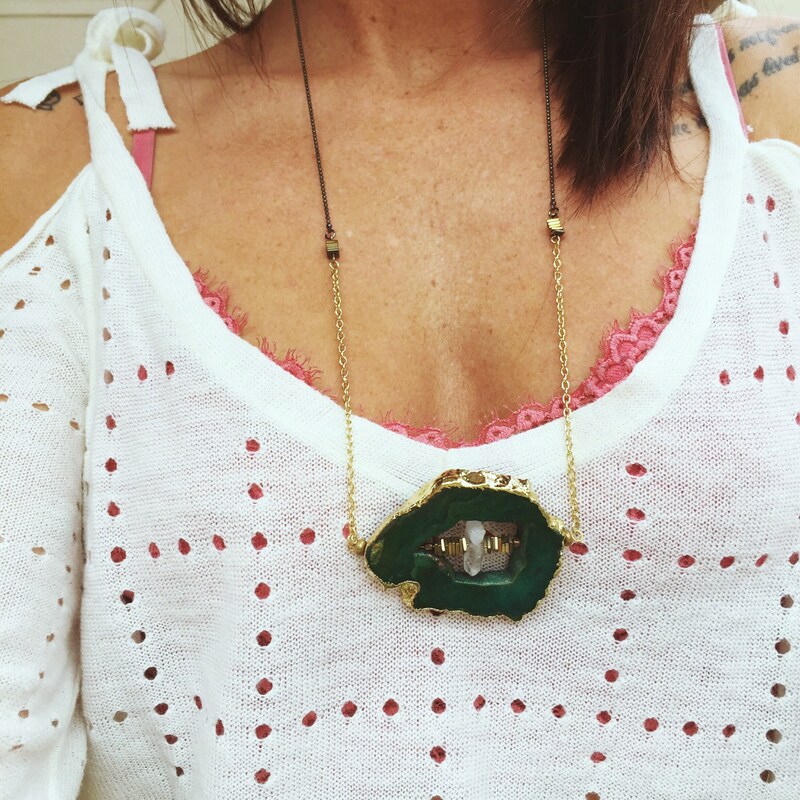 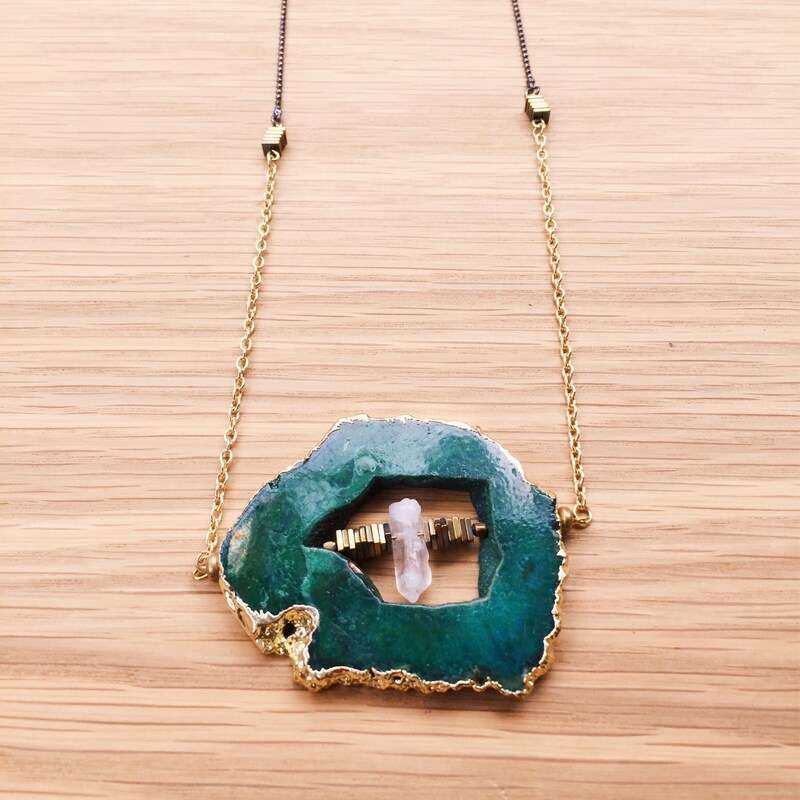 One of a kind, eye catching Emerald Pool Geode Necklace. 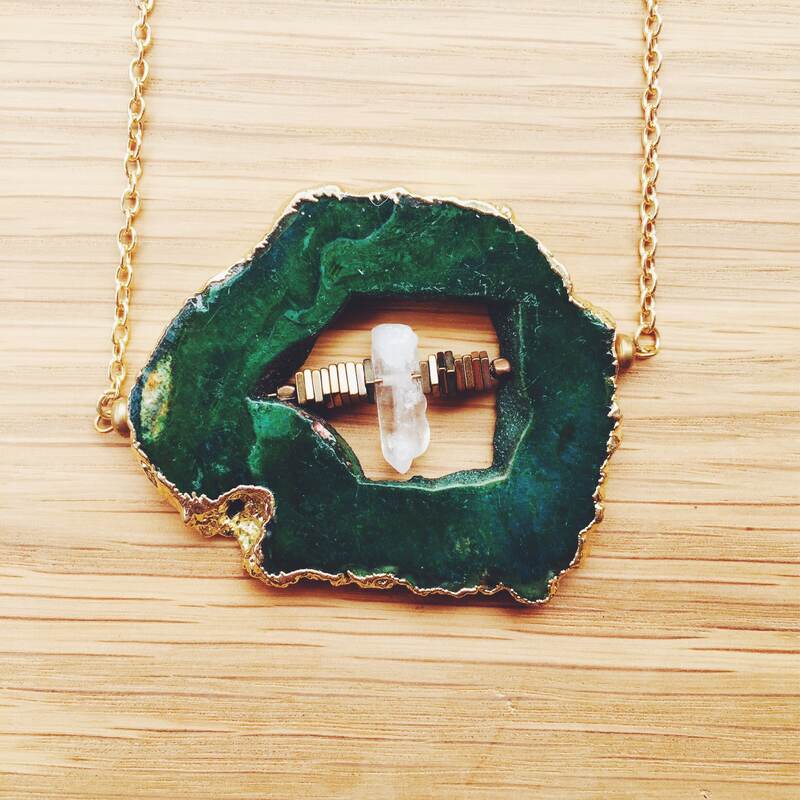 Giant green geode slice with suspended quartz crystal in the middle. 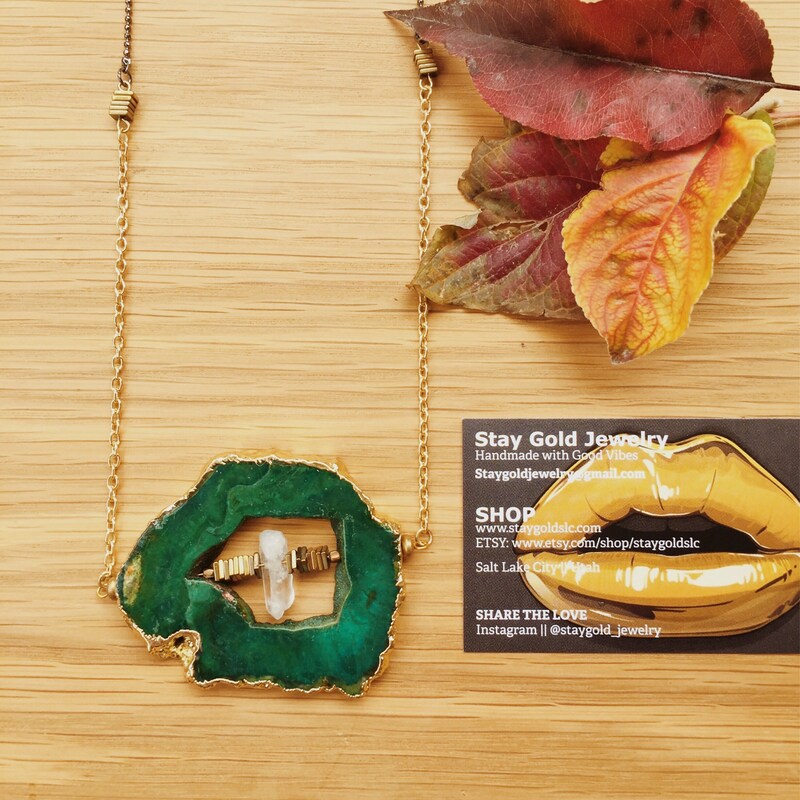 30 inch gunmetal and gold chain with edgy brassy bead accents.